Dynegy announced plans to retire its 50-year old Morro Bay natural gas-fired power plant in February because the plant is no longer profitable. Company spokeswoman Katy Sullivan said Dynegy was unable to get a long-term power sales contract to keep the 650-megawatt plant economically viable. In addition, in order to comply with a recently implemented California policy that restricts and phases out the use of estuary, delta and ocean water for cooling coastal power plants, the aging facility would require a significant investment. There are currently 30 to 40 people working at the plant. Dynegy officials said employees will be offered jobs at other facilities otherwise they will be given a severance payment. Dynegy officials have not yet decided what they will do with the property. Man, I sure wish someone would tear down my smokestacks and evict me from the property I live in – oh wait, the can’t, because I’m HOMELESS. I guess that’s one thing I dont have to worry about unless I go to Roandoke and become a Holly Roller. It will be Morro Bay history in the making and we may see it take place. That’s pretty darn cool. Ha ha, very funny. Never said I didn’t have a job. Your attitude reflects Morro Bay’s attitude toward the homeless in general. Yeah, that was Joey Racano, a local activist, and he wasn’t talking about the new leaders and their way of doing things, he was talking about the old, status quo’ers who think we need big red fire trucks and a big giant fire station with a full crew of firemen putting out about .5 fires a year. I agree with that entirely. You can thank your liberal Congresswomen Lois Capps for making that money available at the Federal Level to fund a majority of the costs. I am friends with the former chief but can’t see the need for the new station and have often wondered if the fire protection should not be contracted out to Cal Fire. Lois brags about the FireHouse and her efforts at every chance when she is in Morro Bay. No false targeting there. I have not included Lichtig in any of my posts except to say that her issues have nothing to do with those in Morro Bay so, other than a needlessly sarcastic comment I can’t find the point of your post. Psychologically there are a lot of reasons some people want the smokes to remain erect. Interestingly, some of greatest support comes from people who also are antagonistic toward new comers. It’s all very symbolic and absurd to some degree. Removing the power plant will not make Morro Bay impotent! Other than spewing out personal insults and misleading statements, what to YOU suggest be DONE about this situation? Is THAT too much to ask? Please read some of your own posts about insults and misleading statement. This is not a new issue with the power plant and short term leases have been negotiated over the past number of years by the guy that Mayor Irons is trying to fire. Not a great time to fire someone with a relationship with the company that owns the plant and has demonstrated the ability fo successully negotiate to keep them. To put this discussion on a productive path, I will ask once AGAIN: What do YOU suggest be DONE about this situation? If you once again side step this legitimate and reasonable question and instead use your response to disingenuously and rudely leverage animosity toward your political opponents,then I will have to conclude you are being self-serving rather than looking out for the best interest of the community AND that you don’t’ have a mind toward cooperation or progress. What part of less about each other is not clear? Agree to disagree and move on. What “insults and misleading statement” are you referring to? Please be specific or please apologize. Thanks! Oh, yeah, regarding your claim that the annual Morro Bay city budget is $10 million. What you seem to be referring to is the city’s General Fund ONLY. Also, the Morro Bay City Council has been anticipating loss of revenue from the power plant and each year the budget is being adjusted to reflect the anticipated loss of income from the plant. In any case, with the facts on the table, what do YOU suggest be done? Then where are the surplusses? Does the money from the Power Plant not go into the General Fund? Isnt that where services are p[aid from? And I don’t have a solution. I wouldnt have fired the guy that has successfully negotiated these renewals for the past number of years. That is no guarantee that this would not have happened but I have more confidence in Schultz than Irons. As it stands there is not a solution except for an increase in taxes or a cut back in services and staff. The math is pretty simple. And if you read the financial report, there is a $200,000 shorfall for fiscal year 2012-2013 being taken out of reserves that will no longer exist. That is with the money being collected form the power plant in those years. Well, some people tend to me more prone to phallacies than others. did you mean “tend to BE more prone”? Yeah, I did. I guess it would have been funnier that way. Recycle the entire plant and make local highway improvements with the re-constituted concrete and steel. Let nature reclaim most of the land. The power plant is NOT being shut down because of its looks or because local politicians or citizens ordered it to be. It is being shut down upon orders of the OWNERS of the plant because it is old, obsolete and the owner’s don’t want to spend the money to upgrade it. It is also NOT being shut down because “non-locals” have moved to the area. It is NOT being shut down to make room for more taffy stores or sea food restaurants. The tax revenue from the plant amounts to a tiny percentage of the City of Morro Bay annual budget. The power plant structure does NOT have to remain “dead and decaying” for “decades”, as there are various strategies for preventing that from happening, which could include having the plant declared a “nuisance” and having the owners of the property compelled to remove it. The stacks alone could be removed for a fraction of the cost of demolishing the entire plant. Bottom line: Instead of spending so much time trying to blame others for the closure of the plant and/or using it to leverage animosity against political opponents and new comers to the area, that same energy could be put toward creating strategies for alternative uses for the land and/or facilities. Market forces will eventually do this one way or another but our community could play a part in influencing the path that will be taken. Oviously you know nothing about the site and the lease that they pay. $800K annually is hardly a tiney percentage of the budget. Anyway you look at it the percentage loss is in the single digits AND the City Council has already taken into account the anticipated loss of revenue from the plant and has been gradually adjusting the budget each year to account for this loss of income. Also, please don’t confuse the city’s General Fund budget with the entire city budget. I’m not bothered by the stacks. I’ve been looking at them my whole life and they’re familiar. They’re just part of the landscape. I don’t really care if they stay or go. An interesting fact, though, is that two animal rescue facilities are on the property. One for responding to marine mammals in need and the other for wild birds and such. These folks do good work and I’d hate to see them asked to relocate. Aren’t you concerned that your name is going to stir up envy in the subconscious of certain posters on this forum? No, I’m just a pretty girl who thinks you’re dumb. Story of your life, huh? Now that wasn’t very nice. Or ladylike. The closing of the power plant has NOTHING to do with the incumbent Morro Bay city council. It was a business decision based on factors beyond the control of local politicians. Using this situation to try leverage sentiment against political opponents is disingenuous and misleading to the public. They will soon be proposing a sales tax increase. They think they can just take another drop of blood from the taxpayers of the City of Morro Bay. They’re wrong. I’m asking everyone to vote NO on any tax increase in Morro Bay. Jamie Irons, in eight months has accomplished tripling the cost of the wastewater treatment plant, doubling the residential building impact fees, trying to fire the two most experienced, well respected and knowledgeable employees that the city has and generally shown himself, along with his two stooges, to care nothing about what happens to Morro Bay in the log run. Just another day closer to bankruptcy. All three of these people need to go. In the meantime, sign the recall petition for Mayor Irons. This has been an ongoing saga for a number of years. Rob Schultz had been instrumental in negotiations extending the lease for a number of years. We can’t tell the direct effect but I suggest his departure from those negotiations are a factor. Alright, Grover Norquist of Morro Bay. How about we just vote NO on the bad, senseless tax increases and YES on the good, beneficial ones. You are talking out of both sides or your mouth. With one posting you say that the City of Morro Bay does not have enough money, then here you suggest it has “plenty of money”. You’ve got an interesting but illogical way of bolstering your arguments. And then you have the nerve to bring President Obama into this to create animosity toward even him! Again a failure to comprehend. Government wastes money and my comment was about that in regard to new taxes. The city will lose $800k in revenue from closing the plant. People should not have to suffer increased taxes due to that. The city should make cutbacks which will not happen, especially in light of the cost of the new Water Treatment Plant. Government needs to learn to manage to a budget like the rest of us. An increase in taxes is nothing more than a seizure of property that allows government to take your money and my money to do what they want with it. We have horrible road conditions in Morro Bay but great bike paths. The city is leasing a building at Main and Morro Bay Blvd to put a bathroom in. Somehow we did without it for years. There are other areas of waste as well. I am not a proponent of the government for anything but at least the people that were on the Council before the Irons, Johnson and Smuckler owned successul businesses that they built which gave me a little more level of comfort with their decision making process. So, let me get this straight: You think the government should get out of the business of law enforcement, fire fighting, sewer services and road maintenance? 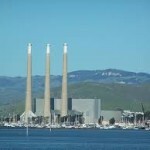 Morro Bay receives $800k yearly from the power plant. Considering our budget is about $10million that loss presents a real problem. Then we compound it with the firings of good employyes and a watertreatment plant costing in excess of $100 million. Where do you folks think the money is coming from? Morro Bay can’t print money like the Fed. So, then what do YOU suggest? It’s not like the power plant is going to come roaring back to life. It’s done, over, kaput. Time to get over it and move forward instead of trying to use it to beat people over the head and cast blame toward every person you happen to not like. If you are so “pro biz” then maybe try using some business sense instead of whining about things changing. Oh, by the way, your figure for the Morro Bay city budge is WAY OFF, by MORE than half. The Morro Bay annual budget exceeds $25 million. If you refer to the budget published by the city on their website and go to the expense line on page 6 you will see it reflects $10 million. Get a clue. You seem to be referring to the city’s General Fund budget only. There is more to the story than that. Do the research. Then apologize. Thanks! Oh look wiserguy and probiz trolling each other over and over. You two lovebirds need to start a Morro Bay blog. You can go at each other every morning.